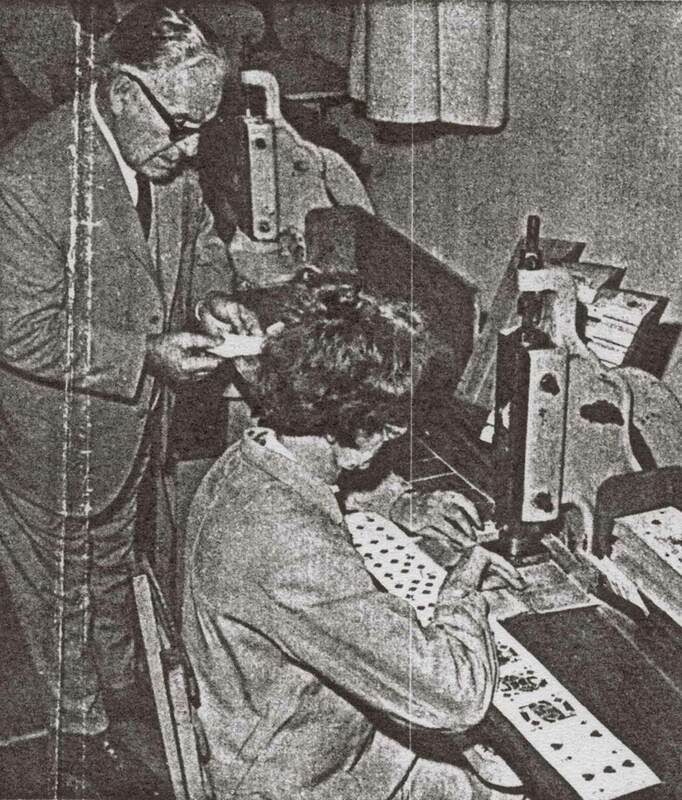 Above: Sr. Ernesto Flaiban, founder and president of E. Flaiban S.A., is seen here checking the quality of some playing cards. The quality of all the cards, from the ace of spades to the joker, needed careful monitoring to ensure the card players' satisfaction. 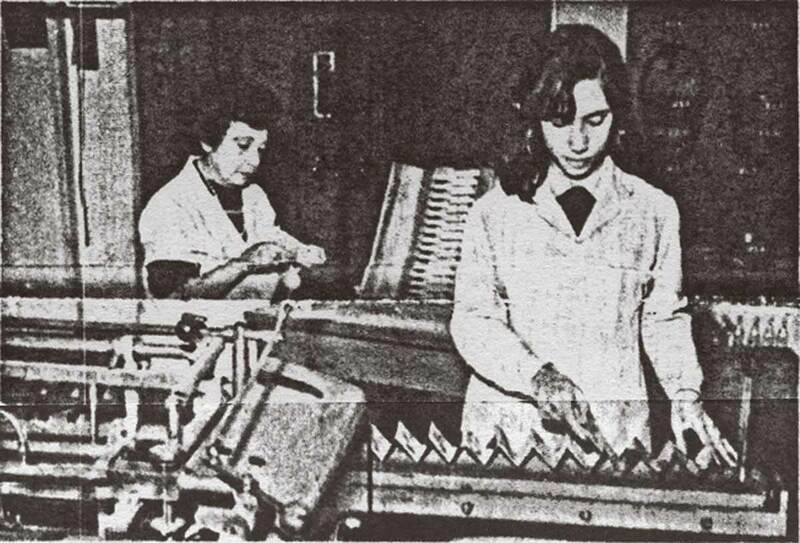 Above: Once the printed sheets of cards have been cut, first into strips and then into separate cards, the packs are made up and stacked in racks ready for the next operation. Thanks to Diego Flaiban for historical information and photos. If you have any further information about Flaiban or Paisanito, please notify the Webmaster.